Bilateral Agreements and Memoranda of Understanding for the Promotion and Protection of the Rights of Migrant Workers and Members of their Families. In recent years, a number of Asian governments have forged bilateral agreements (BLAs) and memoranda of understanding (MOUs) to govern labour migration. These government-to-government agreements are negotiated frameworks to facilitate the recruitment and movement of workers from country of origin to country of destination. 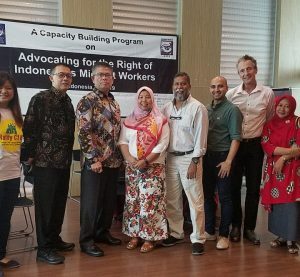 BLAs and MOUs can be useful documents by which migrants, migrants’ rights advocates, lawyers, and other stakeholders can understand the commitments that origin and destination country governments have set for themselves in governing labour migration. 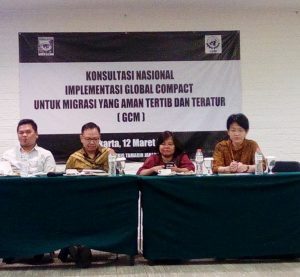 Members and partners of Migrant Forum in Asia (MFA) have long been engaged in monitoring such agreements where they exist and in advocating for greater transparency and involvement in the process of their negotiation. In some cases, MFA members have advocated for the establishment of rights-based BLAs or MOUs where none yet exist as a mechanism of encouraging States to commit, on paper, to migrant labour regimes that respect and promote the rights of migrant workers and members of their families. Access to justice is one of the principal challenges faced by migrant workers. In many cases, abused or illegally dismissed workers find it difficult or even outright impossible to file and prosecute labor complaints against their foreign employers. Once employment is terminated, the migrant worker has very limited options. Oftentimes, they are deported or opt to return to the home country without receiving their unpaid salaries, benefits and other monetary claims. Upon arrival in their home countries, migrant workers have no means to seek compensation from their abusive foreign employers. Having this scenario in mind, Philippine policy makers embodied in its laws the joint and several liability of recruitment/ placement agencies and the principal/employer for money claims of overseas Filipino workers to ensure that they can still prosecute their just claims against the foreign employer and the recruitment/placement agencies after they have returned to Philippines.